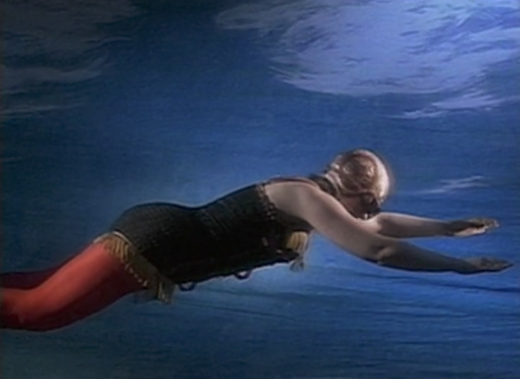 Dempsey and Millan met in Toronto during a surge of feminist performance art within the city, formally beginning their collaboration in 1989. At the time, Millan was active as an artist, photographer and songwriter; Dempsey was studying theatre production at York University and working as a technician for The Clichettes, a satirical lip-syncing performance girl-group. The malleability of performance art as a medium allowed Dempsey and Millan to integrate their respective skills while also conveying their feminist politics. 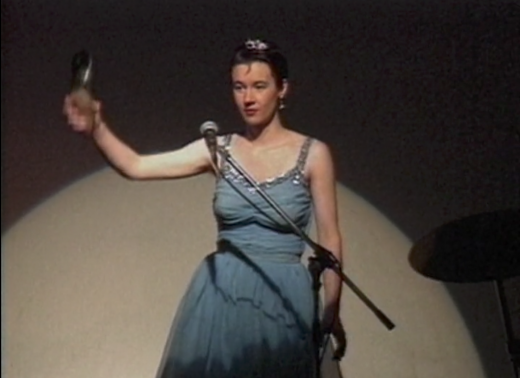 Their interdisciplinary approach to performance art is a spectacular mélange of theatre, humour, identity politics and queer theory which has manifested in the form of “monologues from iconic females, rap songs about female anatomy, meditations on lesbian life, and site-specific interruptions referred to as ‘real world performances.’” A strength of Millan and Dempsey’s work is their integrity and unfaltering commitment to their craft, as emphasized by their careful attention to costumes, character development, gesture/choreography, and script writing. Millan notes the affective politics of “peopleness” as a driving force behind their practice as collaborators and performers, a testament to the enduring appeal and success of their work. Dempsey and Millan, now based in Winnipeg, continue to be active as performance artists. 1 – “The Headless Woman.” Western Front. February 1, 1998. Accessed April 2018. https://front.bc.ca/events/the-headless-woman/. 3 – Dempsey, Shawna, and Lorri Millan. “About Dempsey and Millan.” Shawna Dempsey & Lorri Millan. Accessed April 2018. http://www.shawnadempseyandlorrimillan.net/about/. 4 – Fisher, Jennifer. “Shawna Dempsey & Lorri Millan: Performance Art Out and About.” In Caught in the Act: An Anthology of Performance Art by Canadian Women, edited by Tanya Mars and Johanna Householder, 189-96. Toronto: YYZ Books, 2004. Shawna Dempsey and Lorri Millan were artists in residence at the Western Front editing their tape The Headless Woman from January 9-31, 1998. “What happens when the Lone Ranger takes off the mask? When the fabric slips and rips and shifts? What happens when the mask falls, leaving her naked between the bridge and the brow? Except Tonto, who wasn’t Tonto yet. Tonto was easy.” – from The Lesbian Love Story of The Lone Ranger and Tonto. Shawna Dempsey and Lorri Millan will be at the Western Front Jan. 9-31, editing their half-hour tape, “The Headless Woman.” They will also be performing a selection from “Tales of The New World,” an on-going body of oral work, on Jan. 31. “Tales of The New World” insert our sexual selves into the myths of Americana.